When looking for a home, a term you might hear during your search is “HOA fee” or “No HOA”. But what is this referring to?HOA stands for Homeowners Association. When you purchase a type of property in a planned development such as a leased land property or a gated community, you are obligated to join that community's homeowners' association (HOA) and pay monthly or annual HOA fees for the upkeep of common areas of the community. The HOA fees also include insurance payments to cover those common areas. The amount of HOA fees will depend on the community and location of the home. Fortunately for Las Vegas residents, the city has some of the lowest HOA fees in the country. On average, HOA fees on homes for sale in Las Vegas cost $198 per month – the second least expensive metro behind Nashville at $194 per month*. 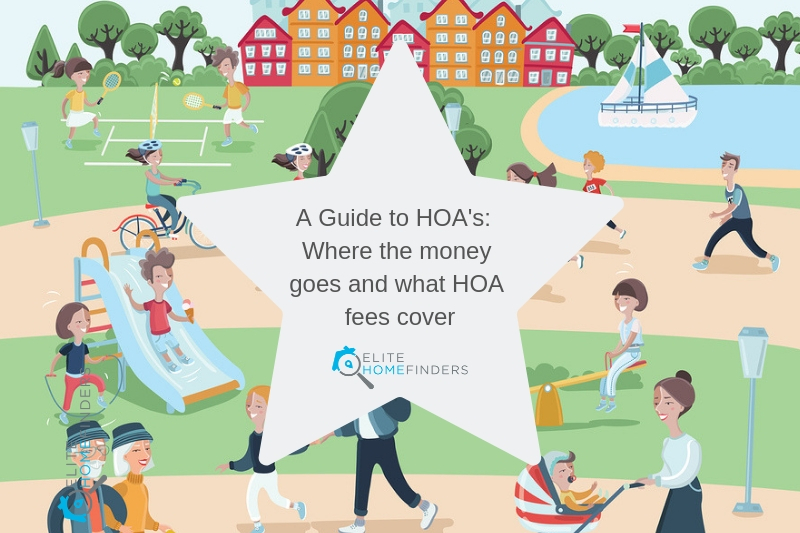 So, let’s take a look at where your HOA fee goes. The policies of each association can differ widely and depend on if you're buying a home or a condo. This is why it’s a good idea to ask the seller for a list of the HOA rules and regulations. Fiscally sound HOAs allocate a portion of their dues to a special long-term reserve account to cover planned and budgeted renovations or repairs that do not occur on a regular basis, like repaving interior roads or replacing elevator machinery. If the reserve fund is not large enough to cover these expenses, your homeowners’ association will levy a special assessment to make up the difference – an additional fee you must pay. When considering a home with an HOA one of the advantages of moving into an area with an HOA is that they take care of much of the basic maintenance and service functions associated with owning your home, meaning that you will take care of everything on the interior of the property, and the association typically takes care of the upkeep and maintenance on the exterior. One thing to be aware of is that since the HOA is maintaining the exterior of the community, they often have regulations regarding the look and feel of the outside of your home. There may be certain things you can and cannot do, such as putting up a fence, a personal pool, etc. We'd love to know, are you looking to move to an area managed by an HOA, or is this something you would prefer to avoid? Leave a comment for us. If you'd like more info about finding a home in Las Vegas, we'd love to talk. Email us at hello@elitehomefinders.com.